United Nations (United States) (AFP) - Long-delayed peace talks for Yemen are expected to finally open in Geneva in mid-December, the British ambassador to the United Nations said Wednesday. Yemen forces backed by air power from a Saudi-led coalition have been battling Huthi Shiite rebels who captured the capital Sanaa over a year ago. British Ambassador Matthew Rycroft told reporters that the UN-brokered talks "will probably happen in Geneva in the middle of the month." "We strongly support those because that is the route to ending the conflict," he said. More than 5,700 people have been killed in Yemen since the Saudi-led air campaign began in March, according to the United Nations. 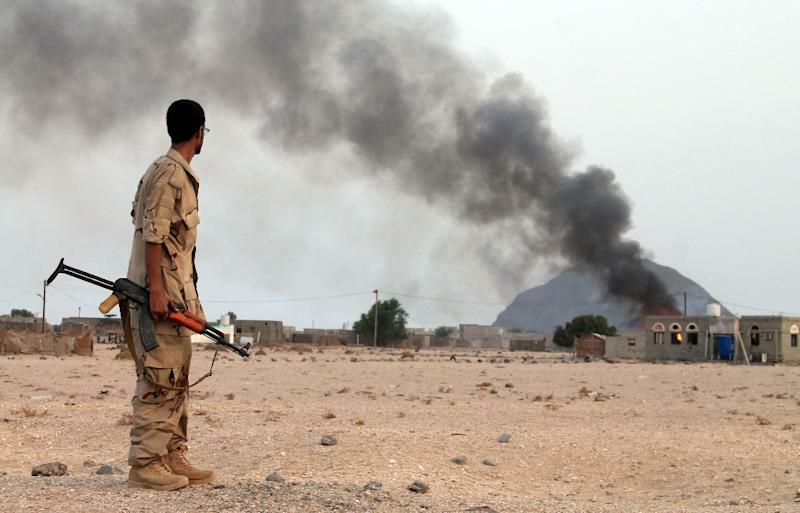 The conflict took a worrisome turn this week when Al-Qaeda fighters battled pro-government forces in Jaar in southern Yemen, briefly taking control of the town. Rycroft said the threat from Al-Qaeda in the Arabian Peninsula (AQAP) highlighted the need to find an urgent resolution to the Yemen crisis. UN envoy Ismail Ould Cheikh Ahmed has been holding talks for weeks with all sides to try to launch peace talks, but no date has been announced for the formal negotiations. An attempt in June to bring the Yemeni parties together at a negotiating table failed. Yemen's humanitarian crisis has been identified by the United Nations as one of the world's worst, with 80 percent of the country's population on the brink of famine.